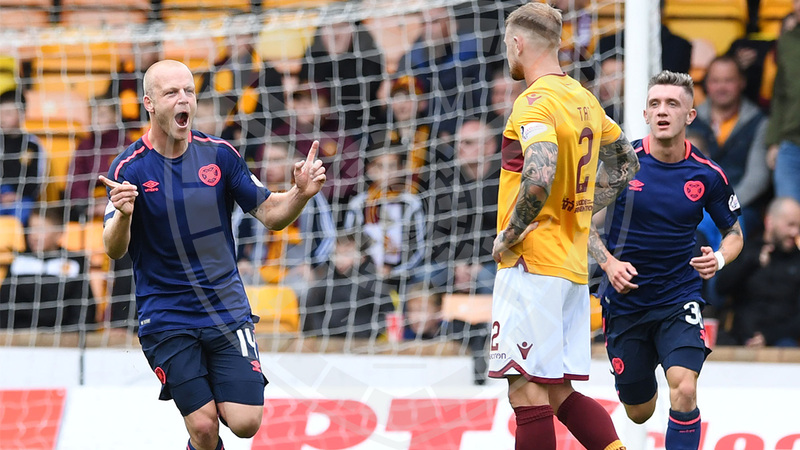 A first-half Steven Naismith goal was the difference as the Jambos extended their lead at the top to five points after Celtic dropped points on Friday evening. 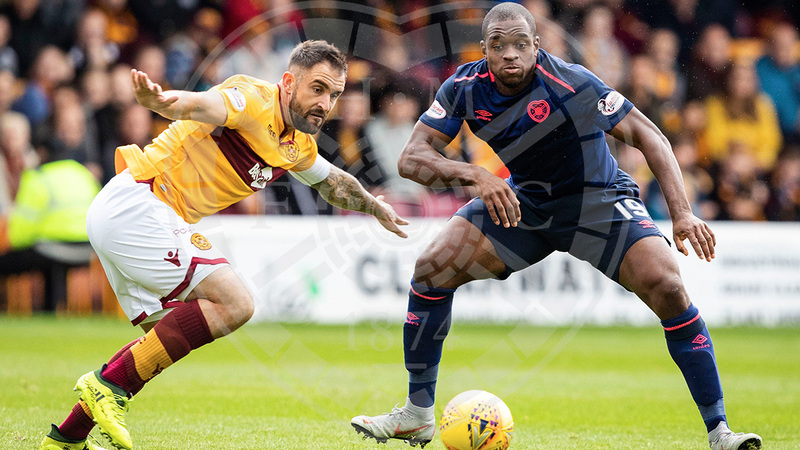 The league leaders made two changes to the side that comfortably bested St Mirren a fortnight ago, with Arnaud Djoum - making his first start in over six months - and Callumn Morrison coming into the side, replacing Ben Garuccio and Steven MacLean. The Jambos found themselves under the cosh in the opening stages as they struggled to retain possession. The first chance for the home side came on 8 minutes, when a long ball was nodded down by Danny Johnson to Curtis Main, and Main’s volleyed effort was palmed away superbly by Bobby Zlamal. Four minutes later, full back Richard Tait found himself in the area after some neat play, but his effort was too close to Zlamal and it was diverted away. From the resulting corner, the ball broke to Motherwell skipper Peter Hartley, and his controlled half-volley had to be headed away from goal by Jimmy Dunne. Hearts had their first chance of the half when Peter Haring won the ball in midfield and released Callumn Morrison down the right. The winger utilised his pace to get away from his marker, but his shot was straight down the throat of goalkeeper Trevor Carson. The Jambos did take their next chance when it came, however. Uche Ikpeazu seized onto a lack back pass and won a crunching fifty-fifty challenge with Carson. The ball broke to Steven Naismith and the forward continued his rich vein of form by passing it into the empty net. Carson was shaken and injured in the collision and had to leave the field. After the delay while Carson was treated, Ikpeazu won a free-kick on the edge of the box. Olly Lee’s precise delivery was met by Peter Haring, but the Austrian headed over when he perhaps should have hit the target. After the break, Hearts started brightly when a Lee corner was met by Jimmy Dunne, but substitute keeper Mark Gillespie managed to scramble the ball away. Demi Mitchell had started to get on the front foot more in the second half, and he burst into the box to meet Arnaud Djoum’s pass, but Gillespie was out quickly. 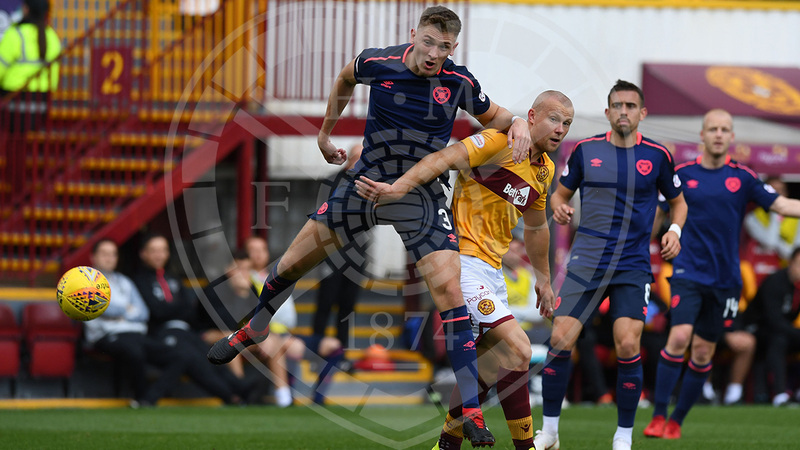 While the home side continued to launch the ball forward, the centre-half pairing of Dunne and John Souttar were imperious in repelling all attacks. There was a double chance for the Jambos to finish the game on 75 minutes, first when Lee shifted the ball onto his left foot and fired a low effort that flew just past the post, before the breaking Michael Smith played in Ikpeazu a moment later, but the striker’s finish let him down. 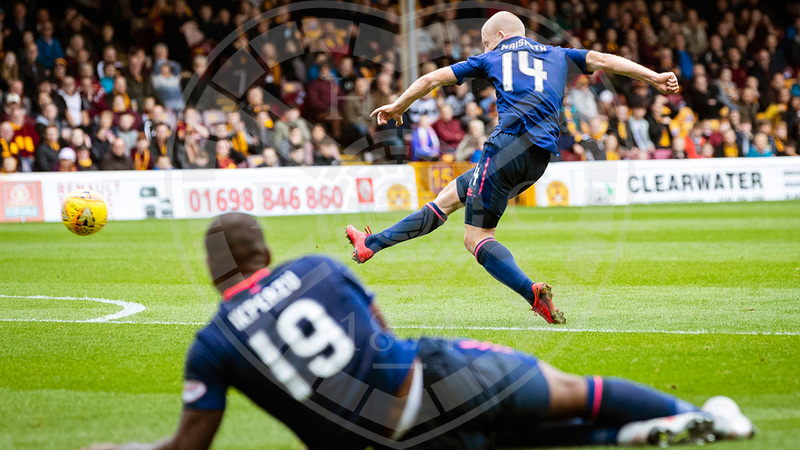 Hearts were chasing more goals again, and some outrageous skill from Mitchell lit up the game, when he turned his man inside out at the edge of the box and fed the ball to Ikpeazu, but his first-time shot was all wrong and was cleared. As the game came to an end, it was still Hearts on the attack, and Smith nearly wrapped the game up when he latched onto Souttar’s diagonal. He cut inside onto his left foot, but his curling effort was deflected wide. Following that, the Jambos saw out stoppage time comfortably to stretch their lead at the top of the table to five points. Hearts: Zlamal, Smith, Dunne, Souttar, Haring, Lee (Bozanic, 80'), Djoum, Mitchell, Naismith (Dikamona, 72'), Ikpeazu (MacLean, 86'), Morrison. Subs: Doyle, Wighton, Garuccio, Mulraney.